One of the gripes about early IBOC HD radio installations is that they required inefficient Class A amplification and often a second, dedicated transmitter and/or antenna, not to mention special studio-transmitter links (STLs) and frequent manual time alignments. Messy business. 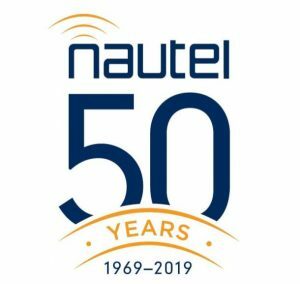 The new Nautel representative Jeff Wilson, came to San Diego February 20, 2019 to introduce himself and make a presentation on “Making HD Radio Deployments Easier and More Affordable,” describing new systems that take a lot of the pain out of HD Radio deployments. Many thanks for the talk and for lunch, Jeff! Before taking over for retiring Ellis Terry last year, Jeff had represented Broadcast Electronics in Quincy, Illinois since 1995 as Western USA Sales Manager and later Director of Sales. He’s well-known in the broadcast industry. We’ve learned that Rick Bosscher, longtime RF Supervisor at KFMB-AM-FM-TV, turned in his keys for good in mid-December 2018, less than a year after Tegna bought the stations. He was hired by Chief Engineer Charlie Abel in 1977 after installing and servicing the FM and TV transmitters in 1976 as a technician for RCA. Charlie recognized in Rick a deep knowledge of electronics given him by RCA as well as an attention to detail that would serve him throughout his career. He started in Grand Rapids, Michigan as a young technician at a local broadcast station and decided to further his training with RCA. His job became unique in San Diego. As the KFMB Stations RF specialist, he installed all of their radio and TV transmitters, microwave and satellite systems, and related control systems. He oversaw much of the station facilities management and news mobile technical maintenance as well. His sites were known for their tidy and high-quality “fit and finish.” Because of his maintenance skills, the equipment he oversaw tended to last longer than standard. The KFMB-AM Harris and Collins transmitters, for example, are 27 and 37 years old and still operate like new. Bosscher is an amateur metallurgist who’s made his own automobile engines in his spare time. He recently restored a 1963 Chevrolet Corvette Stingray he inherited from a neighbor. He’s a ham radio operator, callsign K6FMB, who owns and modified for use on the lower HF bands a Bauer 707 AM transmitter that KFMB staff had originally assembled as a spare in 1959. Bosscher told me he is relaxing and completing some projects around his Clairemont home and taking his Stingray for drives to the beach. (From SBE National Headquarters) We are deeply saddened by the passing of Barry Thomas, CPBE, DRB, CBNE, who died on Dec. 6, 2018. 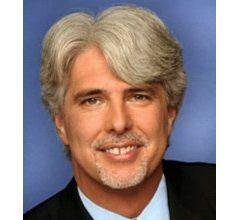 Barry devoted a great deal of his time and talents to the Society of Broadcast Engineers. He joined the SBE in 1986 and served the SBE with involvement in several local SBE chapters and on the national level. His national involvement included two terms on the SBE Board of Directors from 2002 to 2005, and two terms as treasurer from 2005 to 2007. He served as the society’s 25th president from 2007 to 2009 and immediate past president from 2009 to 2011. In 2017 he was elected to serve on the board again but decided to step down early in his term. In 2011, Barry was elevated to the membership grade of Fellow. Univision Radio San Diego Chief Engineer Angel Ramos passed his test to win SBE Certified Broadcast Radio Engineer status. Ramos, who’s been a staff engineer and later chief engineer for KLQV (FM) and KLNV (FM) San Diego for over 20 years, took the exam in early November. Congratulations! You, too, can sign-up at any time to receive one of the many broadcast engineering certifications from SBE.